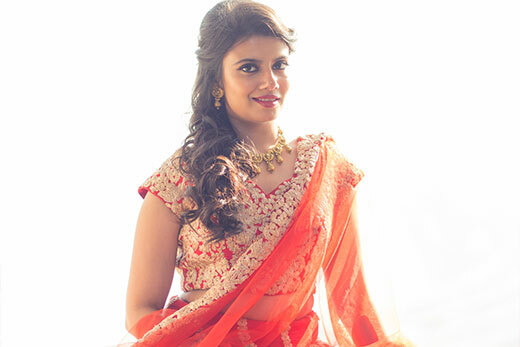 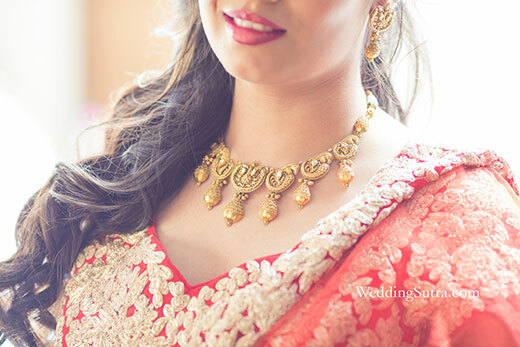 Burnt orange lehenga, luscious curls and gold jewellery with handcrafted details, bridal transformation of Roshni by Wedding sutra was a glamorous affair. 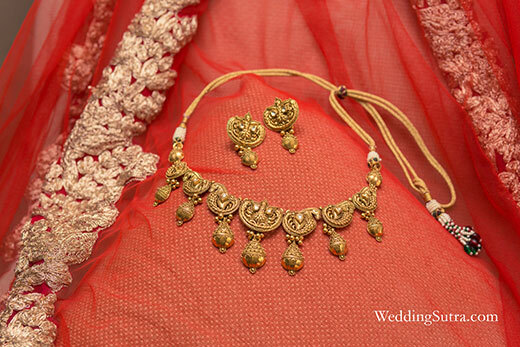 Foliage and scrolls on jewellery accentuated with drops of chased beads, Azva gold jewellery designed for life beyond the locker mesmerized the bride with elegance and modern charm. 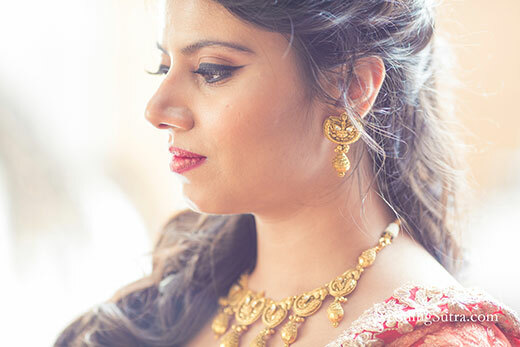 Scarlet lips, winged liner and a dewy look transformed Roshni for a day to night celebrations and some more. 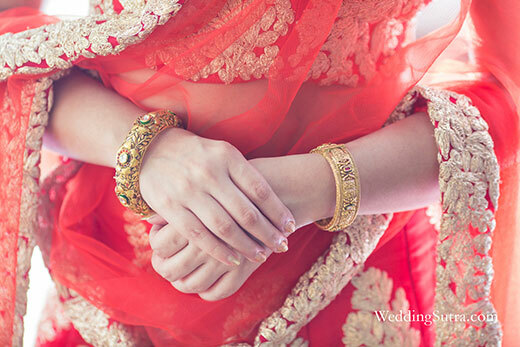 A bangle of engraved details played up the glamour on her wrist as luscious curls framed the face and played up the wedding day romance.